I’ve never seen an issue like this before so I thought I’d put this post up and see if anyone else had seen anything similar. Essentially, the LCD display shows strange red smears in dark areas of the image. It’s not the lens because, when viewed on a PC, the pictures are perfect. 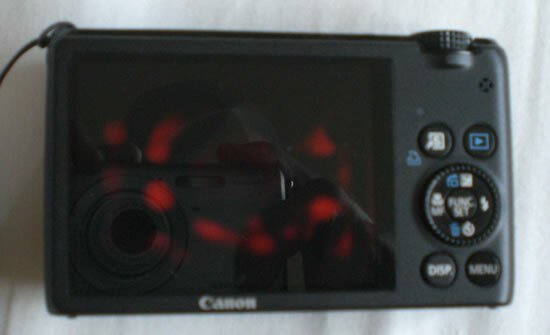 But both while shooting and reviewing images, the red smears are visible on the camera’s display. It’s not smearing on the surface of the camera, either; I cleaned the display with a soft cloth and it had no effect in the slightest. It’s going back tomorrow, and hopefully its replacement won’t exhibit similar problems. I’ll let you know.